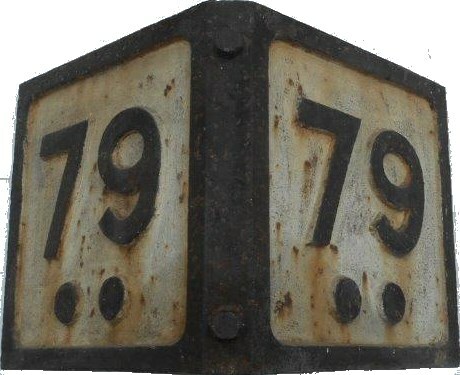 Lot 146 C/I Great North of Scotland Railway Triangular Mile Marker "79". As removed condition. Originated from around the Duff Town Area.